hot pepper challenge means partake and nominate friends then share on social media to continue the chain that would create employment for youth in Sierra Leone. 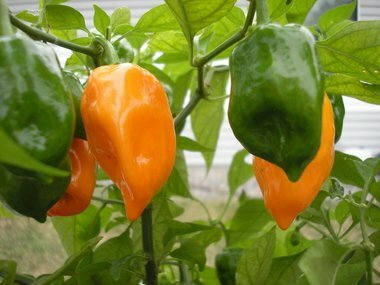 Support African Youth Farming When You Take the Hot Pepper Challenge! The hot pepper challenge is a viral internet challenge that involves filming yourself eating a hot pepper that is high on the Scoville rating. You then upload the video to youtube and share it; exercise caution and know your own limits! In the early years, volunteerism brought the youths together. The ultimate goal of AYM is to create a consistent source of employment for rural youth ages 15 – 35 with the hope of increasing their quality of life through increased income. AYM is dedicated to creating gainful employment and entrepreneurial initiatives for rural youths across Africa by creating opportunities for jobs and entrepreneurship. It is one way to collectively reverse the social and economic marginalization of Africa. In the first three years – 2015 to 2018, Key enterprises will be created in Mattru Jong, Sierra Leone, through four initial programs – Arts, Agriculture, Ecotourism, and Entrepreneurship. Mattru Jong in the Bonthe District will serve as the global idea Hub for the AYM model encased in the Social Enterprise Center (SEC). The Social Enterprise Center will be the key administrative headquarter and incubator. Thereafter, AYM will replicate this model in other districts. The electrical brake was released, and the blades started to turn immediately in the light breeze. AYM has established a reliable and undisrupted source of electricity using solar, wind turbine and a backup diesel generator to provide some reasonable Internet and technology access as well as building an efficiently centralized administrative system and business incubator. Key initial enterprises are presently functioning at the Social Enterprise Center. The goal is to roll out multiple predictable sources of funding. 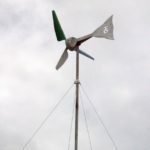 The Social Enterprise Center currently provides the only 24/7 electricity in the whole of Mattru Jong, Sierra Leone, using solar and wind turbine. The purchase of a 5K diesel machine in November 2013 is a key move to stabilize our operations and allow AYM to realize projected monthly revenues from cell phone charging, sales of cell phone top-up units, sales of vegetables from our gardens and internet service. AYM is rolling out new initiatives in 2015. These initiatives will expand existing enterprises and increase projected revenues in 2015. Our goal by the end of 2015 is to consistently maintain daily net revenue of one million Leones ($250.00). This revenue will be reinvested in the community to expand our entrepreneur base, build more sources of revenue, create employment and develop the community. 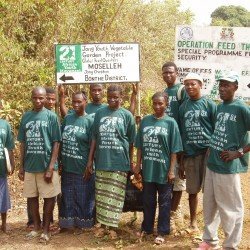 AYM is also a local NGO in Sierra Leone. It has a leased property in Mattru Jong that expires in 2031! The property is being used as an Administrative Headquarter, Social Enterprise Center, and Business Incubator. AYM also has an informal arrangement with a landowning family to develop their property and promote Ecotourism and other related economic activities with the hope of purchasing the property when funds become available. The land is located along a beautifully clean river, beach and waterfalls. AYM envisages a local resort village on the land that would be opened to both local and international tourism. AYM also has access to several acres of land for vegetable gardening and varied agricultural projects. From time-to-time, our volunteers from the United States meet up with our volunteers in Sierra Leone to work on projects and improve capacities to deliver services. We have just finalized a partnership to install a cassava processing machine that would primarily produce Foofoo for commercial purposes. AYM means youth employment – employment to increase the income of rural youth and an opportunity to increase their quality of life. We recognize that creating employment that would provide a living wage takes time with several factors coming into play. Identifying emerging opportunities in our rural areas of operation and responding with the right business idea is crucial. Recruiting, training and providing employment for rural youth is our goal. Right now, we have some key enterprises with the potential to expand in 2016. Our focus for 2015 is generating investment capital through crowdfunding. This will help us start providing at least our first five full-time paid jobs in January 2016. 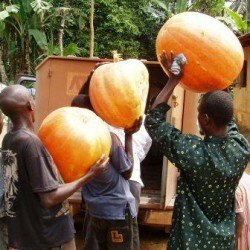 The biggest pumpkins in the village from the AYM vegetable gardens. 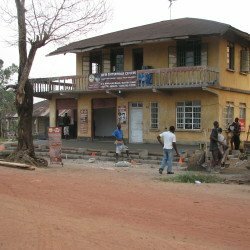 Opportunities abound for AYM in Sierra Leone, especially in the operational district of Bonthe. AYM has an administrative and business office in Mattru Jong with 24/7 electricity (partly from renewable energy sources such as wind turbines and solar). It also has a good relationship with the local leadership and access to land for ongoing agricultural programs. The agriculture sector can absorb a greater number of unskilled youth. In 2007, AYM launched the Youth Vegetable Gardens in five communities in the District. Two hundred youth participated in the project. The vegetables were sold to Sierra Rutile, a neighboring mining company, through its hospitality management company, All Terrain Services Group (ATS). The population of Mattru Jong is increasing by leaps and bounds. Many opportunities exist for business in food, education, recreation and entertainment sectors. AYM has positioned itself to start exploiting these opportunities to create jobs for the youth in the community.